Pallavi Singh – The Young and Spirited! I am Pallavi Singh, Hindi Preceptor and Enabler. 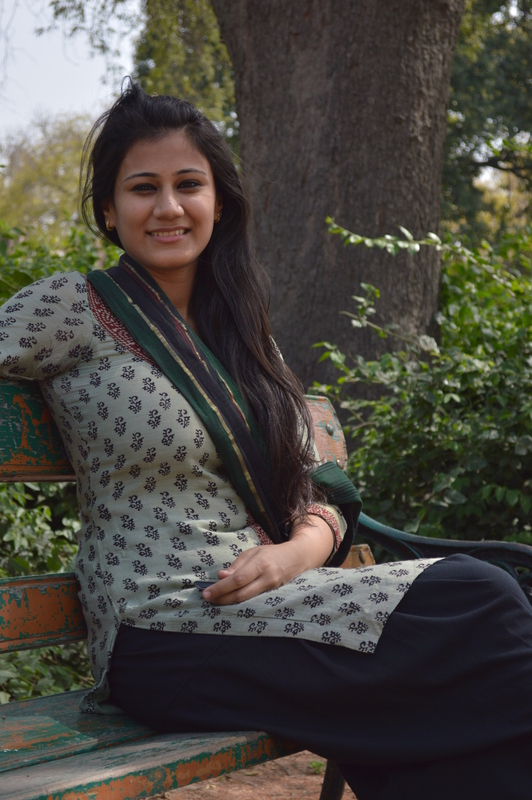 I’m 24, and I started to teach Hindi back when I was 20. Many a times I’ve been asked how this “idea” struck me. I am being genuinely honest when I say “No clue”! I just started to. . .Why did I message that Delhi University student offering help in Hindi, who went on to become my first student? Why did I not think about getting a conventional “corporate” job? Why did I choose to run around the city all day conducting private classes than sit in an AC office? I really don’t have answers to these questions. I guess all I have to say is “Because I wanted to and I could”. I moved to Mumbai in 2012 to pursue my studies further. In India; it is presumed and practiced widely that your parents would and should support you in your studies until you get a white collar job. It is almost obvious that no matter what you study and for however long; your family would “pay for it”. And not just tuition fees, your hostel fees, your food, your daily expenses, your “xyz”. I am not saying everyone does it; I am saying most people do this. Well, I did not want that. I did not want to become an imposition of any kind on my parents to pay for the decisions I make for my life. I agree it is harder in India to find a “student job” since the concept itself does not exist, but it is not impossible. I got here, and wanted to sustain on my own with as little help from my family as possible. This is what drove me to rigorously pursue teaching Hindi. It was a means to an end. It gave me monetary support. I could continue my life here by actively teaching Hindi to expats and getting paid for it. What happened through this external impetus to earn is that it effectively enhanced and polished my teaching skills. Its transition from being “part-time” to “full-time” happened almost naturally. It is like dating someone right; you initially “get to know each other” and then if this makes you happy and the relationship is fruitful, you take it further. It is organic and composite. You do it because “it is the right thing to do”. I did not consciously set out to become a “Hindi Teacher”; but it became me. I do realize how lucky I am to be doing what I *actually* like to do. Meeting new people every day, international exposure, value for my time on an hourly basis, respectability, flexibility and upcoming opportunities; it is really an “all-in-one”. I am extremely fortunate to be doing something not only because “I have to”; but also because and majorly due to the fact that “I want to”. I am not sure how many people can honestly say that. I am not particularly a typical teacher who probably teaches “Namaste, Aap kaise hain?” in their first class. In fact, I do not teach from a book at all – I have prepared my own lesson plans and modules, I have a set of activities corresponding to every class and the contents learnt, I possess a collection of teaching tools and props that I carry with me every day to present a fun, engaging and a lively class. And then there is homework, for which my students actually get gold stars and remarks, along with feedbacks. Each Hindi Class is a show — A show which has an interactive, humorous and spirited environment, where learning Hindi is the primary goal. No matter how my day went by, when I am in class, I am this whole new person who is energetic and animated, with always a joke or two to share. There are certainly challenges I faced too. Speaking rather truthfully, Mumbai is not an easy city for someone who is an outsider. It is harsh, brutal, rough and overwhelming. It is not for everybody and to make it in Bombay; it takes more than just an intention. It takes guts, courage and determination. I got here with no friends or social connections. I had to penetrate into a rather close knit circle of expats who have come to Mumbai for various reasons. Not only infiltrate, I had to generate enough trust and assurance for them to believe in my teaching skills and abilities. It took time and patience, but it eventually happened. It has come to a point where almost every student of mine has hired me by reference, and not because of any advertisement or endorsement. Today, I have several corporate and non-corporate clients who have hired me as their official Hindi language trainer. My aptitude for teaching and being able to articulate has perfectly befitted my capacity to teach Hindi. I recently got invited for a TEDx talk where every other speaker had a fancy degree or advantage of experience, I was the only young speaker with no extravagant certificates or years of experience to credit – but I did have one thing – my unconventional niche and the forte I possess which is self-driven and self-acquired. The only advice which I would like to share is – recognize something that gives you back and cultivate your skill/(s) for it. Keep on raising the bar and do what makes you happy. It is ideal and not realistic sometimes, but you should try for “as close as it gets”. Life is what happens when you plan for it, it is totally okay to rearrange priorities and modify decisions. Nobody has a blueprint; one has to create it. Make sure most of it is rewarding; otherwise there is just no point to it.